Florida's five-game losing streak is its longest in series history. 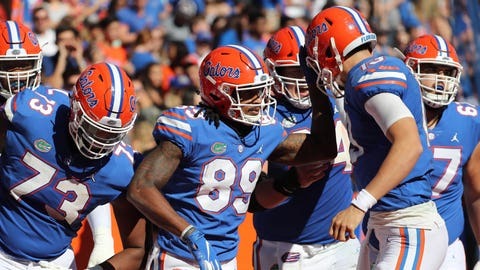 The Gators need to end the slide Saturday in Tallahassee to remain in contention for a New Year's Six bowl — a potential trip to the Peach Bowl or Fiesta Bowl. GAINESVILLE, Fla. (AP) — C’yontai Lewis’ losing streak to Florida State feels even longer than it actually is.